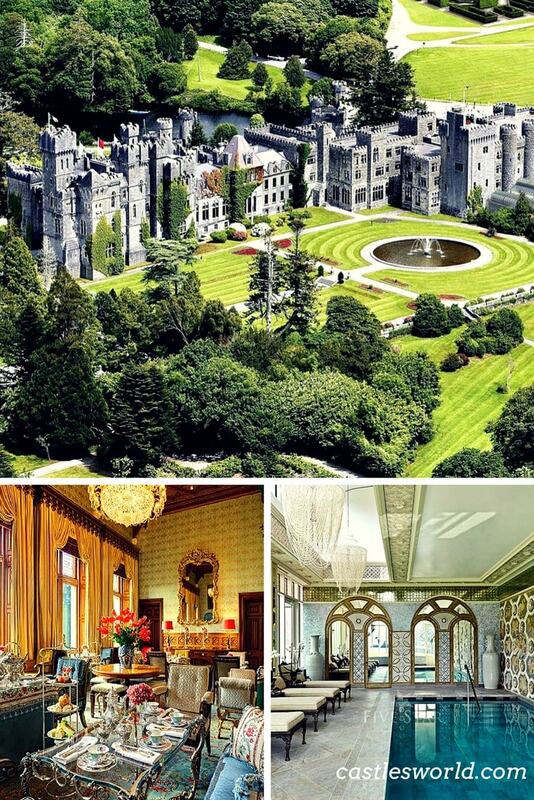 Ashford Castle is a medieval castle that has been expanded over the centuries and turned into a five star luxury hotel. 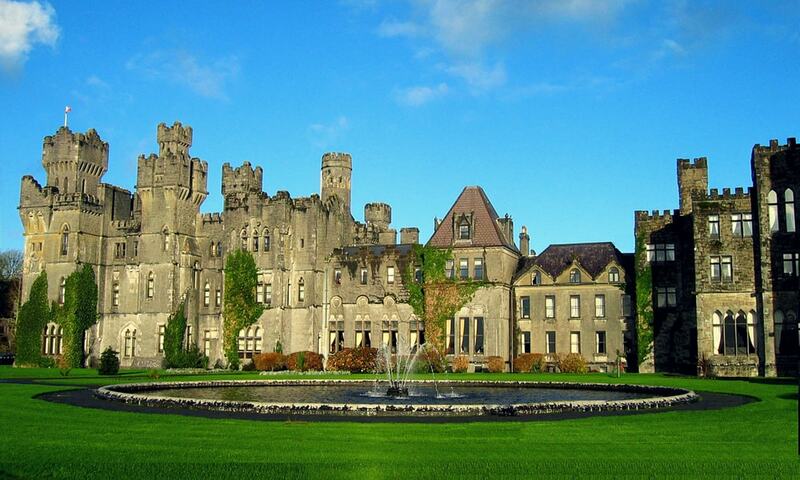 It is a member of the Leading Hotels of the World organisation and was previously owned by the Guinness family. In its time the castle has played host to many notable guests, including: King George V and his consort Queen Mary; John Lennon; George Harrison; Oscar Wilde (whose father, Sir William Wilde, had an estate adjacent to Ashford, where the writer spent much of his childhood); President Ronald Reagan; Prince Edward, Earl of Wessex; US Senator Ted Kennedy; John Wayne; Brad Pitt; Pierce Brosnan; and Prince Rainier III of Monaco and his consort, Princess Grace.